Dementia takes a person out of time. Music can bring them back. 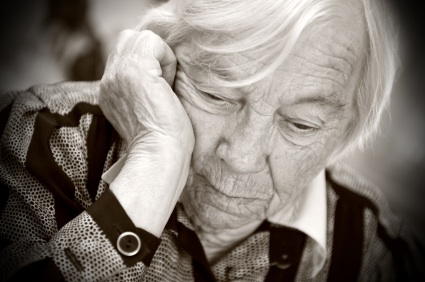 Have you ever thought about how dementia affects a person’s experience of time? For you and me, time is pretty orderly: minutes become hours, then become days, weeks, and years. Time sometimes moves slowly (waiting your turn at the DMV) and sometimes quickly (where did those years with the grandkids go? ), but we generally have a sense of where we are in time, what happened before, and what might be happening next. Dementia, though, seems to take away this sense of time. I’ve seen clients with Alzheimer’s disease who feel certain that they should be waiting for the kids to come home from school, all the while some lady in nurses’ scrubs is telling them to sit down and wait for supper to arrive. This time confusion is what can make activities of daily living, like bathing, so difficult – people may think they are perfectly competent adults who are suddenly being told by a stranger to take off their clothes and get into a bathtub. No wonder they get upset! This out-of-time sensation happens in the very early stages of Alzheimer’s, too – a man is trying to answer a question or jump into a conversation, and the right word just won’t come out, or a woman is standing in front of the bathroom mirror without a clue as to whether she has taken today’s pill yet or not. The person with dementia is out of step with the rest of the world, somehow cut off from chronological time. There is another side to the experience of time, though, one that is separate from clocks and calendars. The Greeks called this “kairos,” to mean the right or opportune moment. (This is the opposite of “chronos,” from which the term “chronological” derives.) Kairos is the qualitative experience of time, the feeling of the fullness or the specialness of a given moment in a given place. It is the experience of everything falling into place, everything and everyone fitting and being in the right place at the right time. For people with dementia, for whom clocks and calendars become all but meaningless, kairos is the way to experience time. They need to experience events as being right at a given time, opportune and meaningful. Music can’t bring people with dementia back to a normal experience of chronological time, but it can bring people back in sync with those around them. When everyone is singing the same song, drumming in the same groove, or dancing to the same beat, they are in time again. They are in sync with those around them, and they get to stay in time for a while, for the length of a song, a symphony, or even an hour-long music therapy session. This is the experience of kairotic time, which is as full of meaning as it brings about connection with the surrounding world. I think this is why a person I know can’t talk about the World Series in a normal conversation, but she can sing “Take Me Out to the Ballgame” and toss a beanbag back and forth along with some music. This is why another client of mine can’t recite a prayer or talk about scripture, but he can sing “Amazing Grace.” Because music happens over time, it can help to bring people back in time with the people and environment around them. Have you seen this happen with people you know? How have you seen dementia affect a person’s experience of time? Please leave your comments below. *For thought-provoking reading on kairotic time and music therapy, read chapter one of Music Therapy in Dementia Care by David Aldridge. Wow, what a great post. This enlightened me so much as to what it feels like on their side. Thanks! I don’t claim to understand what it feels like to have dementia, but this concept has helped me out, too. Thank you for this thought provoking post which I came across when doing some research about something that one of the carers that I spoke to told me. She said that she has managed to orientate her mother, who has dementia, and help her know which day of the week different events happen by making up little verses about what happens each day. For example, there is a little sung rhyme about Wednesday being day care. It works for them! That’s perfect! If it works, there is no reason not to use a musical trick like that.